Pumpkin Fudge Brownies – super moist, fudgy, gluten free brownies with the perfect balance of chocolate and pumpkin. Pumpkin is such a versatile ingredient and can be used in sweet and savory recipes. I get so excited at the first signs of fall and start putting pumpkin in everything. If you follow along on Facebook, then you’ve been witness to all the amazing pumpkin recipes I’ve been sharing lately. You might say I’m obsessed with this orange squash. I’ve used it in oatmeal, pasta, risotto, quesadillas, salad, bread, cookies, and drinks! And now I’m putting it in brownies too! I may be obsessed with pumpkin everything, but my kids are obsessed with these Pumpkin Fudge Brownies! After the roaring success of my Cinnamon Chickpea Blondies, I went back to this magical bean to create these Pumpkin Fudge Brownies. These are not dense cake brownies. They are super moist, soft and fudgy. I could have use black beans, like in my Black Bean Mocha Brownies, and that would work too, but I think the chickpeas hold up just a tad better. Make sure when you drain your chickpeas, that you save the liquid from the can! You can use the chickpea brine (a.k.a. aquafaba) to make donuts, quick bread, marshmallow fluff, and cupcakes. I’ve tried several pumpkin brownie recipes in the past. Some of them are so chocolatey that the pumpkin gets lost. And some of them are so heavy on pumpkin pie spice that the chocolate flavor is missed. 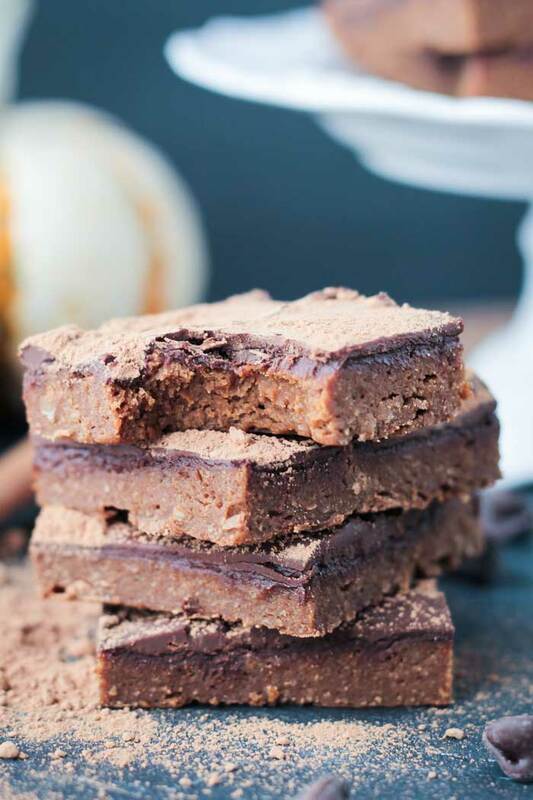 I think these Pumpkin Fudge Brownies have the perfect balance of both. There is a small amount of cocoa powder in the batter, but the pumpkin flavors are prominent in the brownie itself. I then added a thin chocolate layer to the top. When you take a bite, you taste the chocolate first, but then the pumpkin really comes through. I really like how you taste them separately, but then together. You guys, my kids haven’t been this excited about a recipe since the Strawberry Lemonade Ice Cream Cake I made this summer. I’ve made two batches already and they are already begging for a third. I can’t blame them, I can’t stop eating them either! I promise you’ll be wanting to go back for a second helping too. 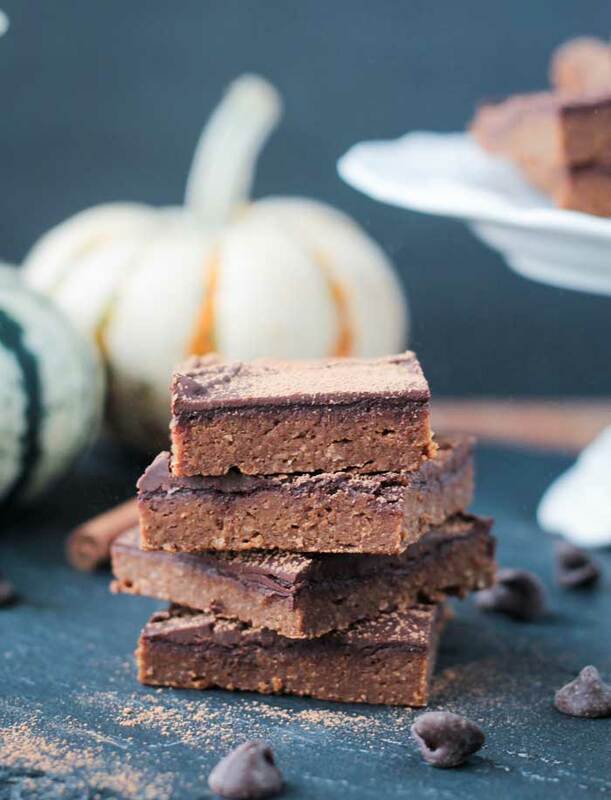 I hope you guys love this Pumpkin Fudge Brownie recipe as much as we do! If you try them, please leave me a comment below with your feedback and star rating. And show me those remakes on social media by tagging @veggie_inspired and #veggieinspired! These Pumpkin Fudge Brownies are super soft and moist with the perfect balance of chocolate and pumpkin. Preheat over to 350 degrees F. Line an 8x8 baking dish with parchment paper, letting the edges of paper overhang the sides. Set the baking dish aside. In the bowl of a food processor, add all of the ingredients except for the chocolate chips. Process until smooth, scraping down the sides as necessary. Transfer the batter to the prepared baking dish and smooth out the surface. Bake for 22-25 minutes until the top is set. Sprinkle the chocolate chips over the top of the brownies and bake another 2-3 minutes until the chocolate chips are soft. Using an offset spatula, spread the chocolate chips into a smooth even layer. Ok I am all about pumpkin everything as soon as September hits and I LOVE the sound of these! 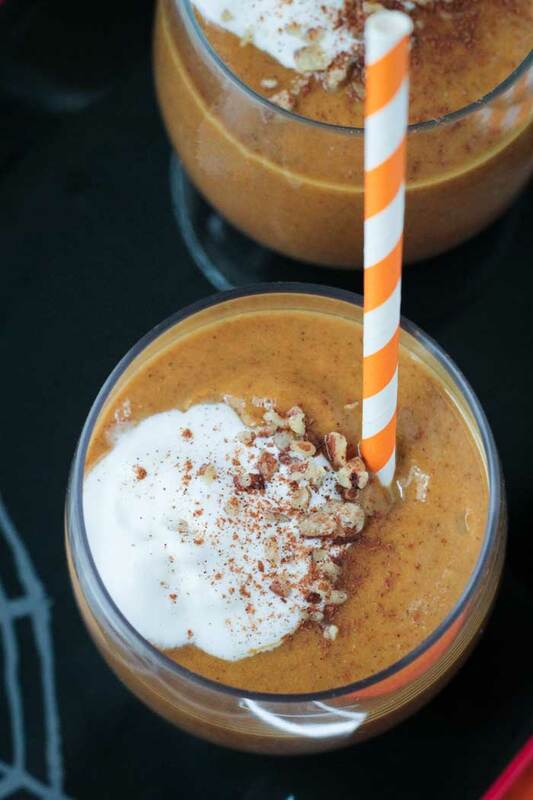 Let’s pumpkin-ize everything – !! And I love the addition of chickpea to make these a guilt free treat! Pumpkin-ize everything!! YES!!! Thanks, Vicky! You had me at vegan and gluten free! These look amazing! HaHa! It means we can have more than one right? Chocolate and pumpkin are so good together! Bravo for finding a way to make these so healthy! 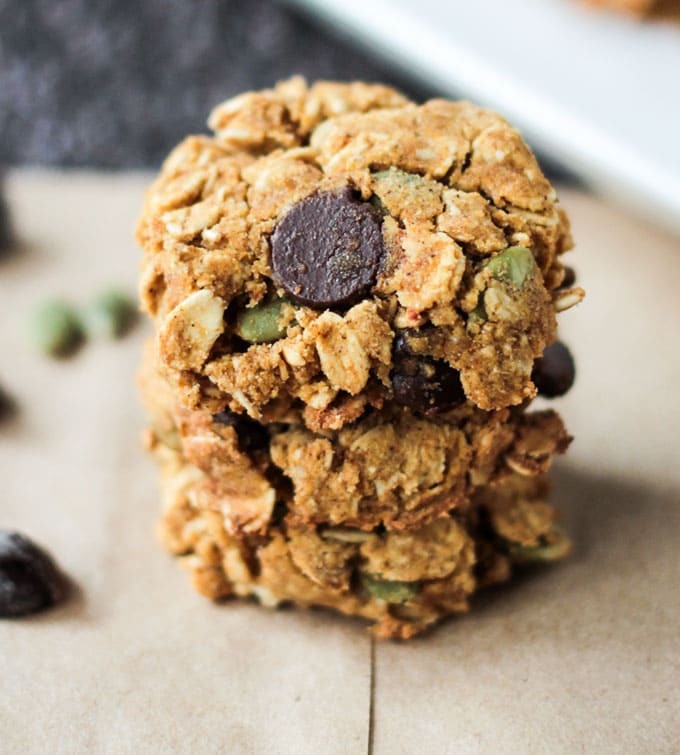 Love the use of chickpeas and oat flour! Thank you, Katie! Chocolate and pumpkin is the best! These look SO good! I can’t believe how many healthy ingredients are packed inside. I have to try these! Thank you, Allison! 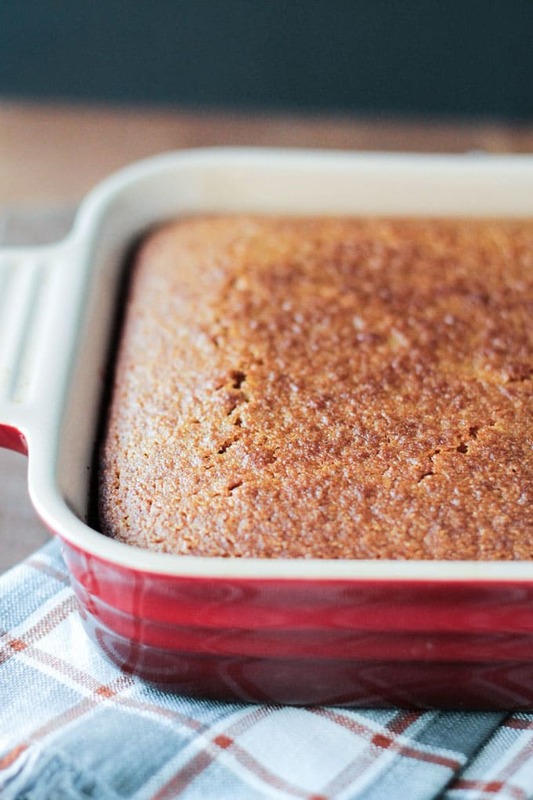 Pumpkin is such an amazing ingredient in baked good! 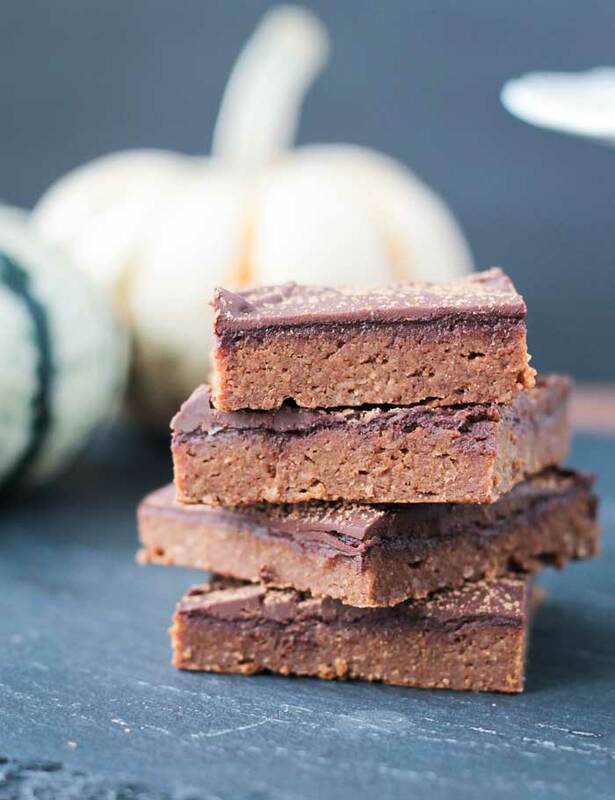 This sounds like a guilt-free delectable treat, I never would have thought to combine pumpkin and fudge but it sounds amazing! Thanks, Dawn! Pumpkin and chocolate are amazing together. You’ve got to try! Totally drool worthy recipe! Using chick peas instead of flour is something that I’m going to try. Pumpkin and chocolate is the bomb!!! Thanks. Thank you! I’ve had great success baking with chickpeas in the past, so I figured why not?! I hope you love it! What an awesome way to celebrate pumpkin season! This is yet another reason to love fall. Looks so delicious! Always love the pumpkin and chocolate combo. Cannot wait to try this deliciousness! They look absolutely scrumptious! Thanks, Tania! They are quite addictive! Enjoy! Fabulous! I made these for dessert tonight. They cooled down a little, but were still warm when we cut into them, and were still amazing. Would have loved to have some vanilla icecream to go along, but they were great by themselves as well. My husband, myself, and two girls gobbled up almost the whole pan! I saved a piece of my share for tomorrow, though 🙂 Thanks so much, looove chickpea/bean based desserts! Oh, I subbed dates in place of half of the syrup. I want to sink my teeth into this treat! Yum! These looks so fudgy and decadent! I’d never know there were chickpeas in there. I love the combination of chocolate and pumpkin, too! Thanks, Melissa! You definitely don’t taste the chickpeas at all. They just lend a great texture! Yes to pumpkin everything! Thank you, Vanessa! I your family loves them as much as we do! They look so ridiculously fudgy! That’s chickpeas for you. The wonder ingredient! I have been experimenting with meringue lately so this is a great way to use the chickpeas after stealing all of their aquafaba! They really are little miracles. I find myself buying chickpeas more often these days for the aquafaba than for the little guys themselves. But I just love everything about them. Their texture is so amazing! Thanks, Mel! Love it! Pumpkin-ize everything ?? These look fantastic!! 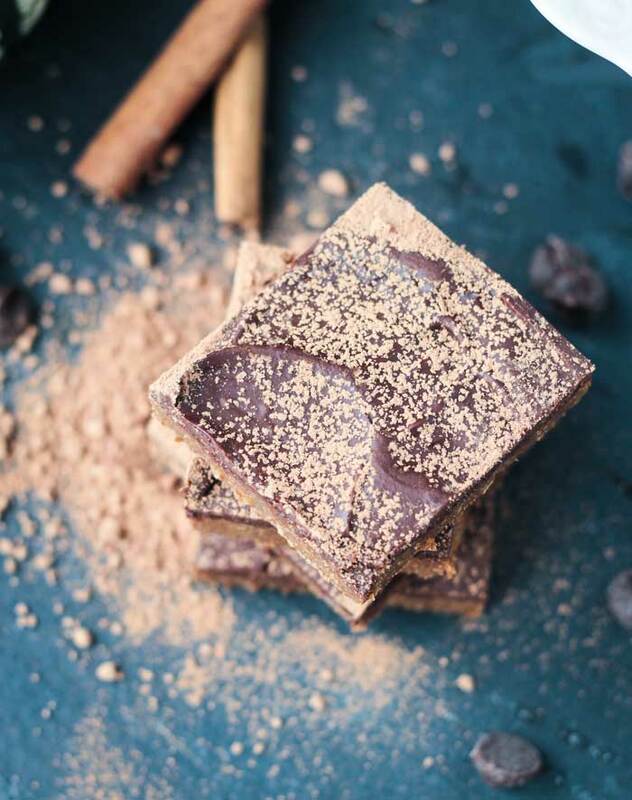 And here’s another dessert recipe calling for chickpeas…I have yet to use them in a sweet recipe, but this is giving me the push I need to try it! I love that you have a chocolate layer on top! I’m majorly drooling over this recipe, Jenn!! ? Thank you so much, Mandy! Everything is better with a chocolate layer on top, no? 🙂 This is the 3rd time I’ve used chickpeas in sweets and I just love the fudgy moist texture they give.You should definitely give it a try. You wont taste them a bit, I promise! Enjoy! These look so good Jenn! I love brownies so these are on my to-make list! Thanks, Mary Ellen! I hope you love them! Let me know how they turn out. These look delicious! I LOVE chocolate and pumpkin together!!! It’s such a great combo! Thanks, Sarah! Those look perfect! I love the pumpkin and chocolate combination, Jenn. Can’t wait to try them. Thanks, Linda! Perhaps a post-run treat! I love that you’ve got chickpeas and pumpkin in these so they’re secret nutrition bomb disguised as a fudgey treat. Makes them a perfectly acceptable dinner, right 😉 ??? Oh, absolutely! Or breakfast. 🙂 Thank you so much, Meah! I was just thinking about making pumpkin brownies, but your version looks so much healthier than what I was thinking of! I love the ingredients and the chickpeas for protein! It’s been so long since I’ve made pumpkin brownies I need to change that ASAP! Thank you, Sarah. I’ve been putting pumpkin in pretty much everything lately. 🙂 I hope you love them! They definitely look fudgy! I love pumpkin and chocolate chips together. Just ate a cookie in fact! These look so good! I love the combination of pumpkin and chocolate together. Yes, they go perfectly! Thanks, Dianne! These look so perfect for fall! Thanks, Becky! Definitely a fun fall treat! The first ingredient in the recipe says this. What is it? Please let me know. Interested in trying the recipe. Oh my gosh – THANK YOU for pointing that out! I just changed it. The ingredient is chickpeas. I hope you love them! O well they sure look fudgy! 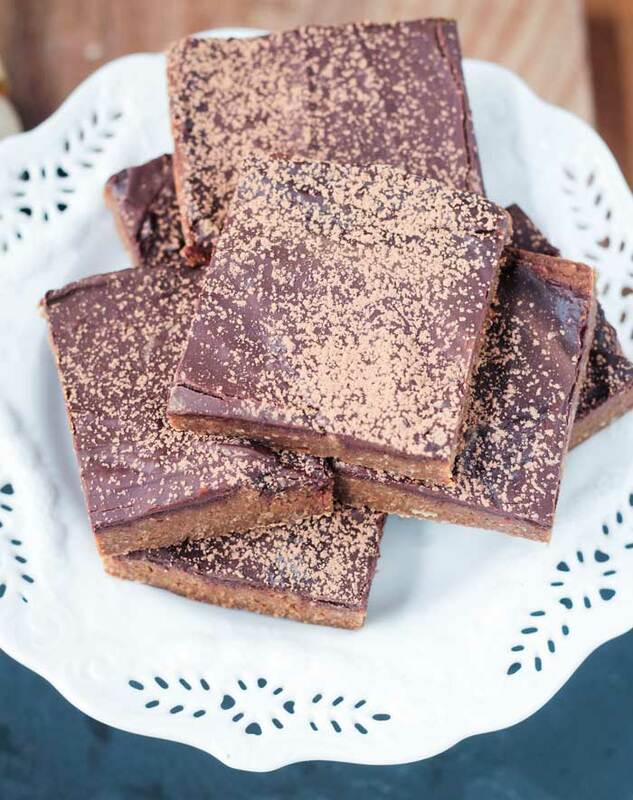 Like nice squares of fudge with a perfect seasonal twist <3 I'll take 10!